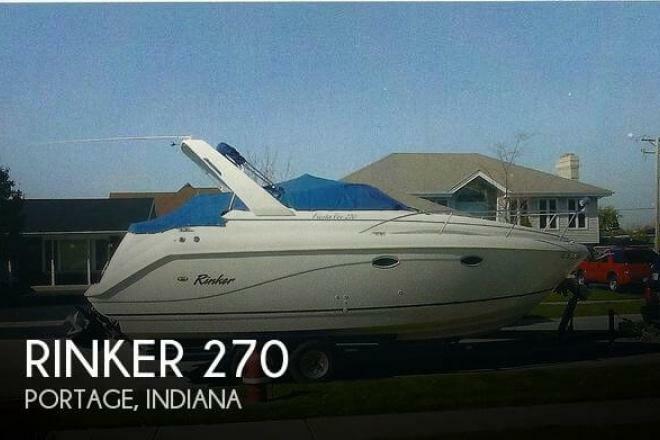 WELL MAINTAINED, FRESH WATER 279 RINKER w/TRAILER!! If you are in the market for an express cruiser, look no further than this 2000 Rinker 270 Fiesta Vee, just reduced to $26,999 (offers encouraged). This boat is located in Portage, Indiana and is in good condition. She is also equipped with a Mercruiser engine. Reason for selling is owner no longer uses vessel!.